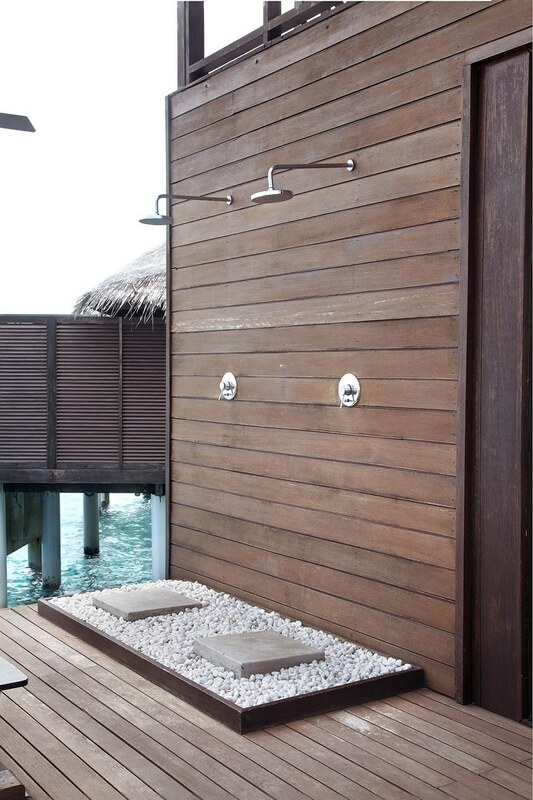 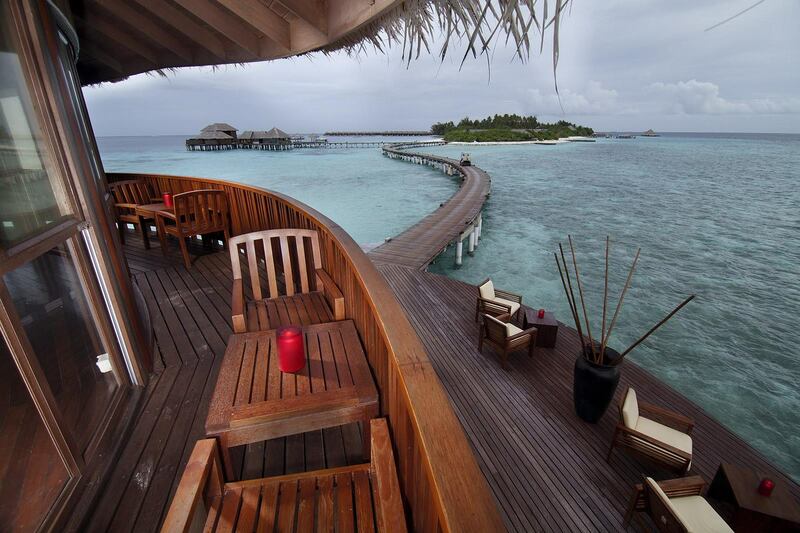 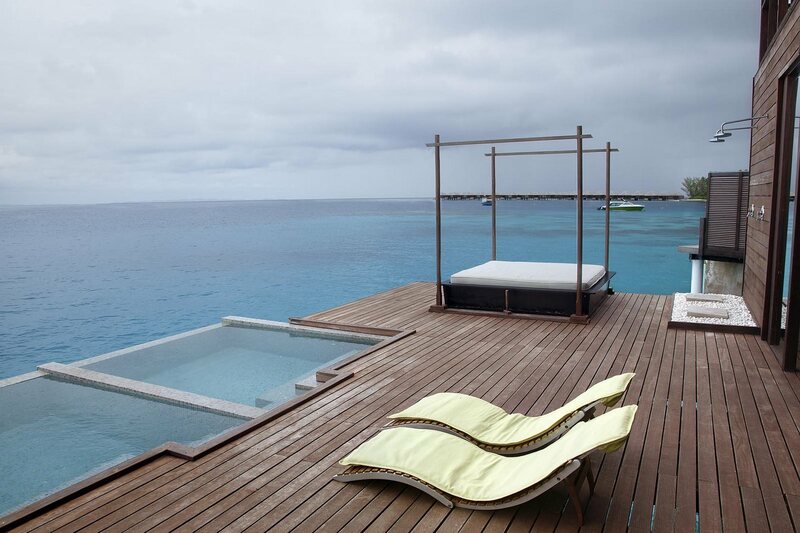 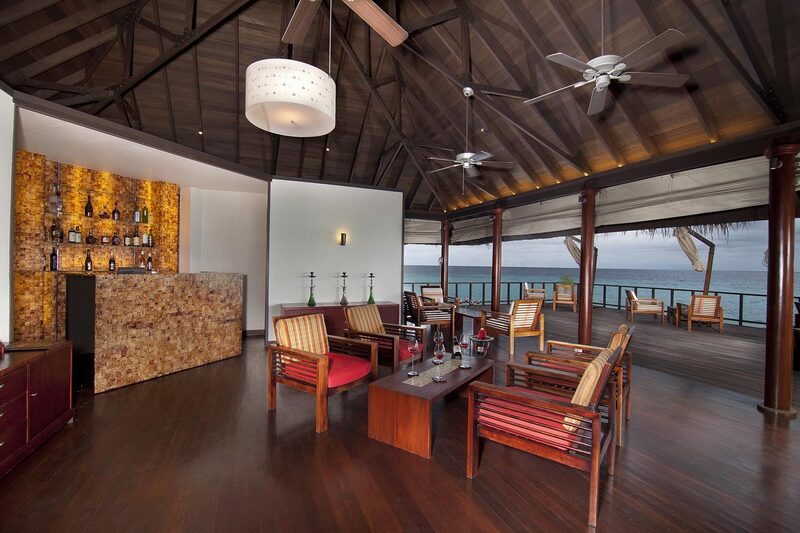 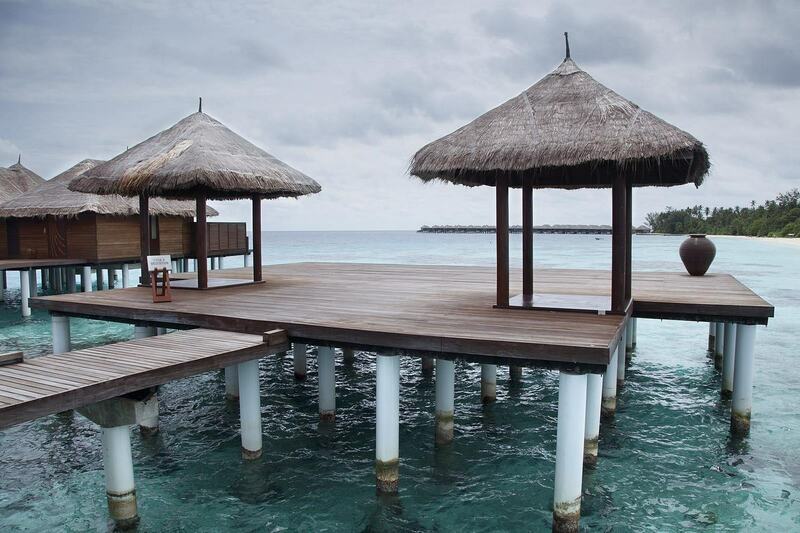 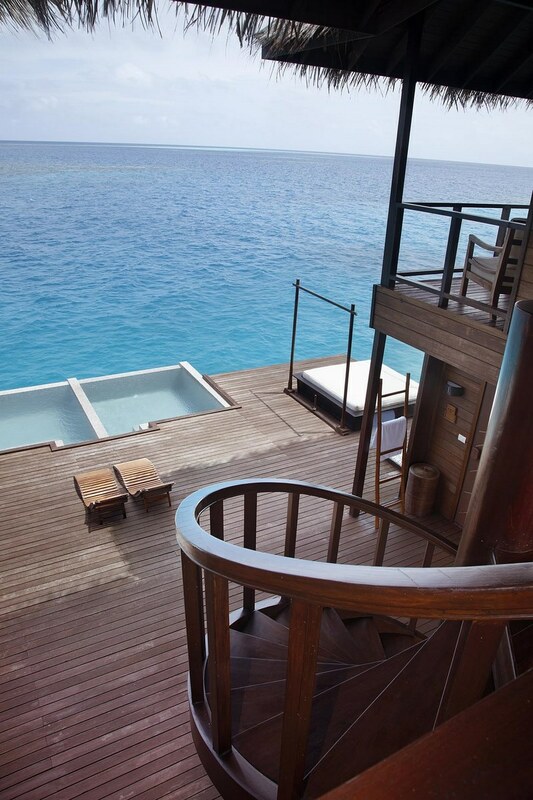 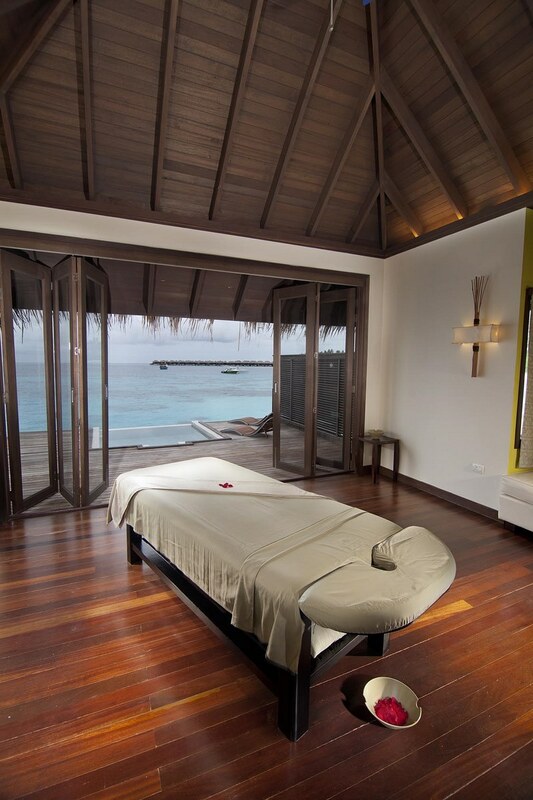 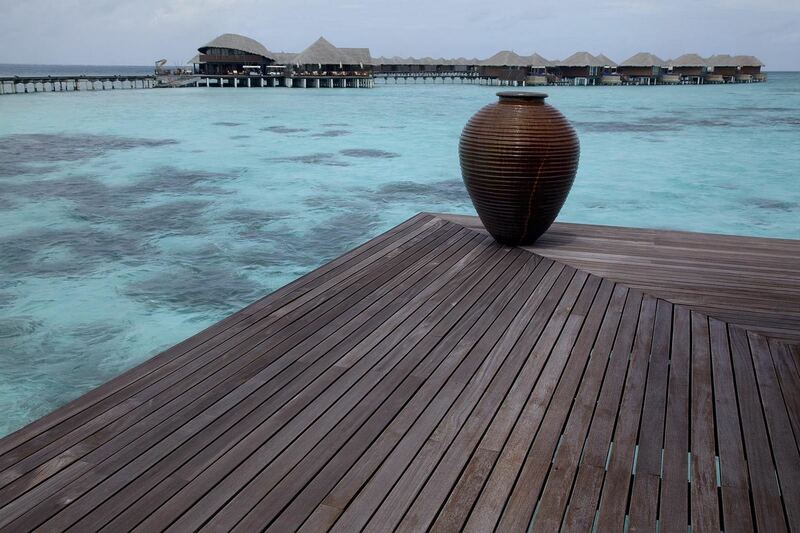 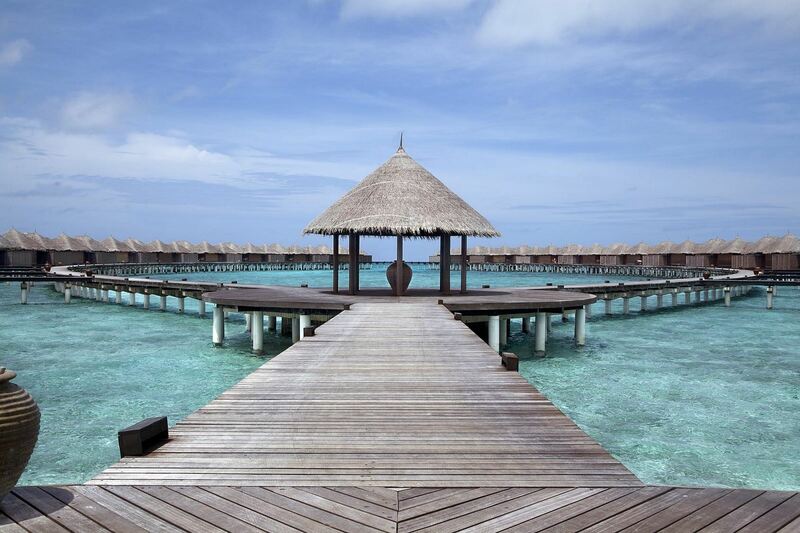 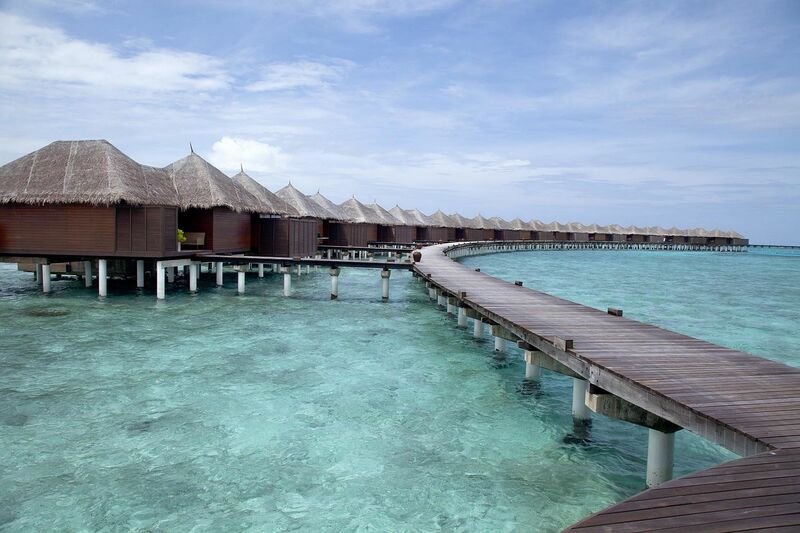 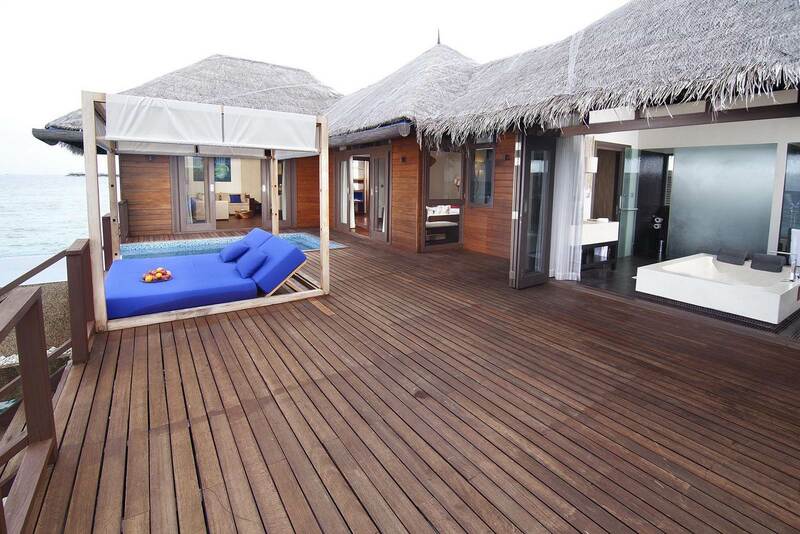 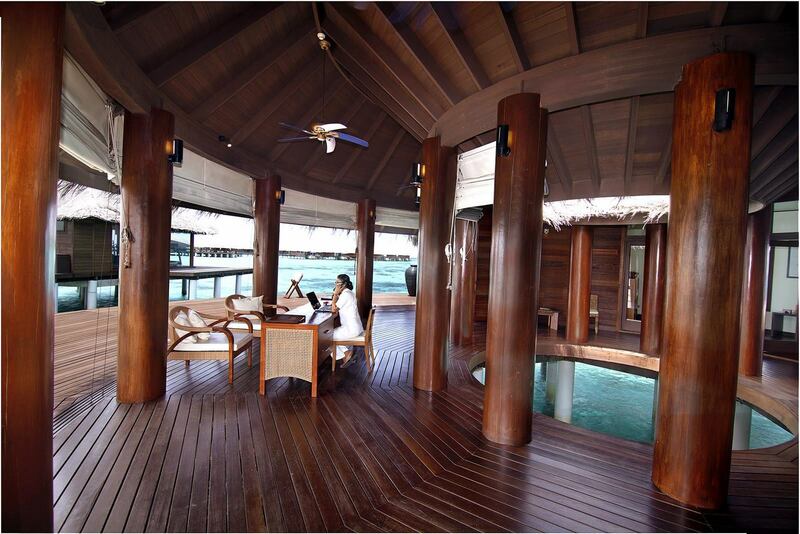 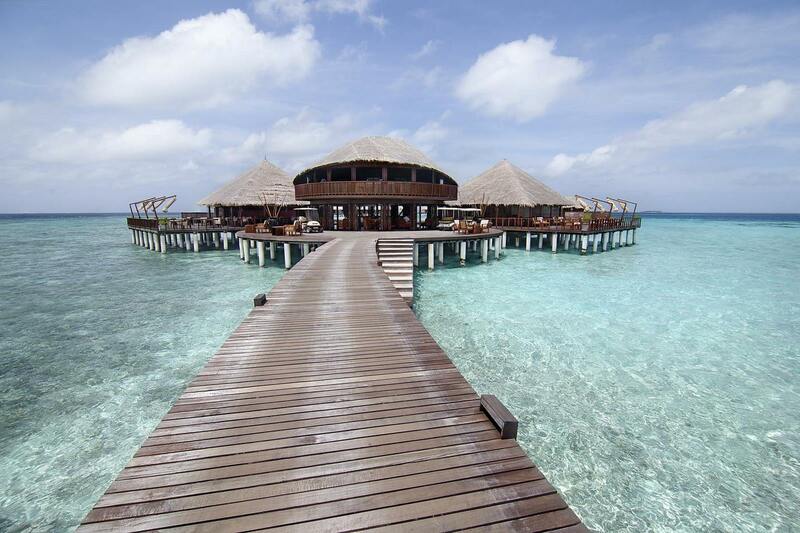 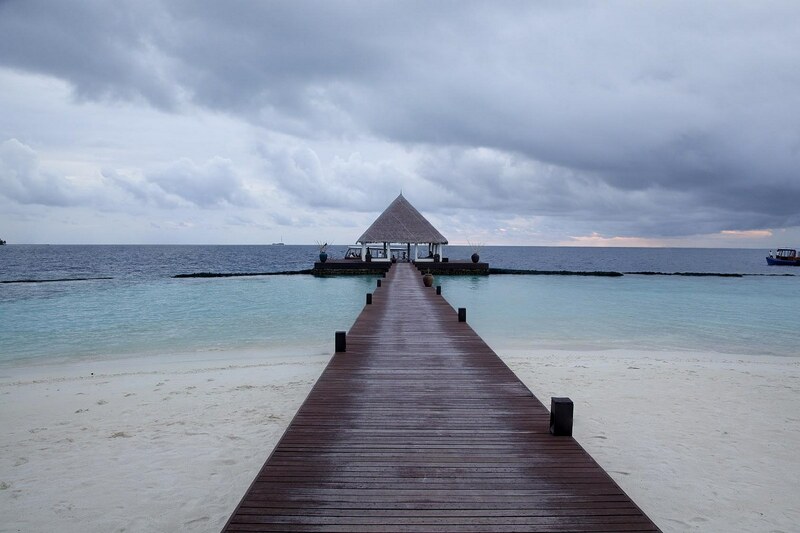 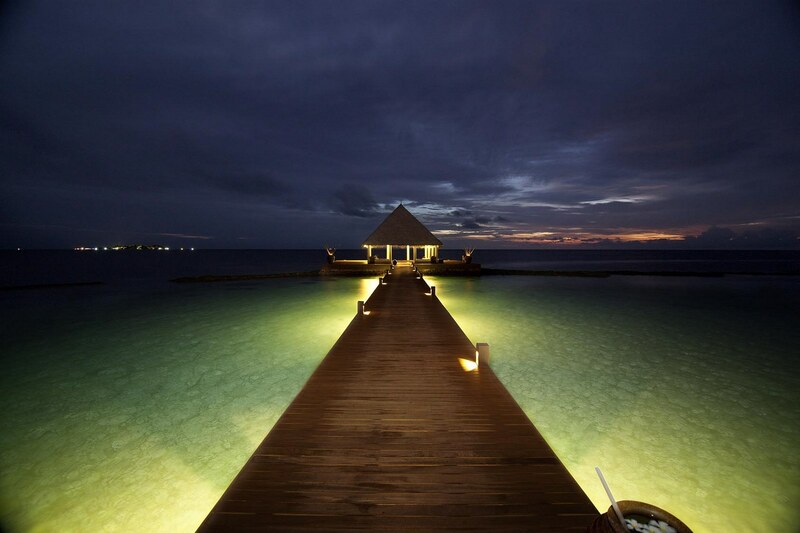 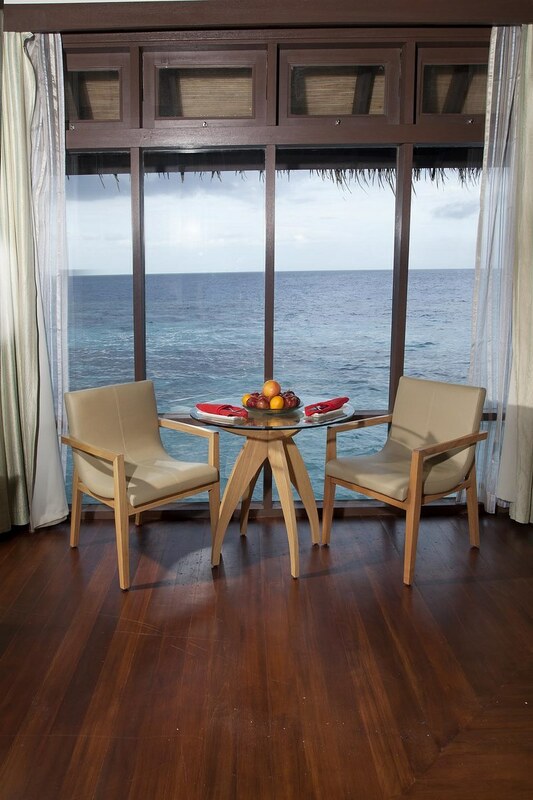 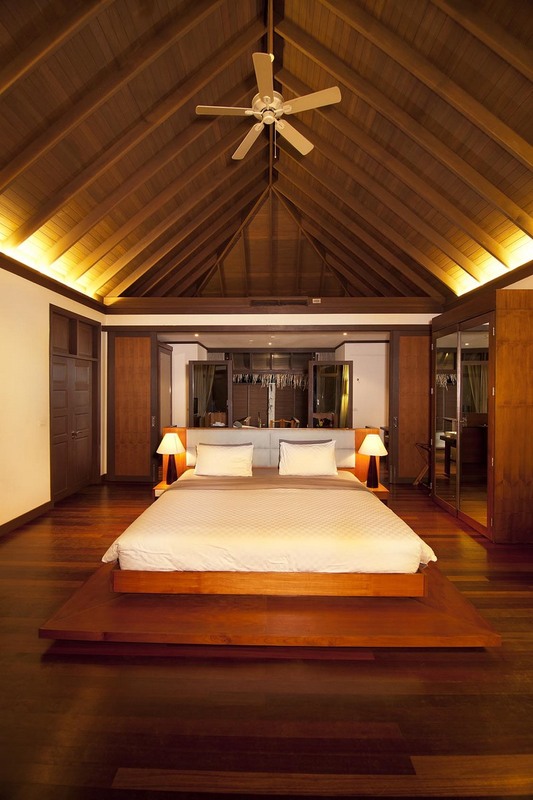 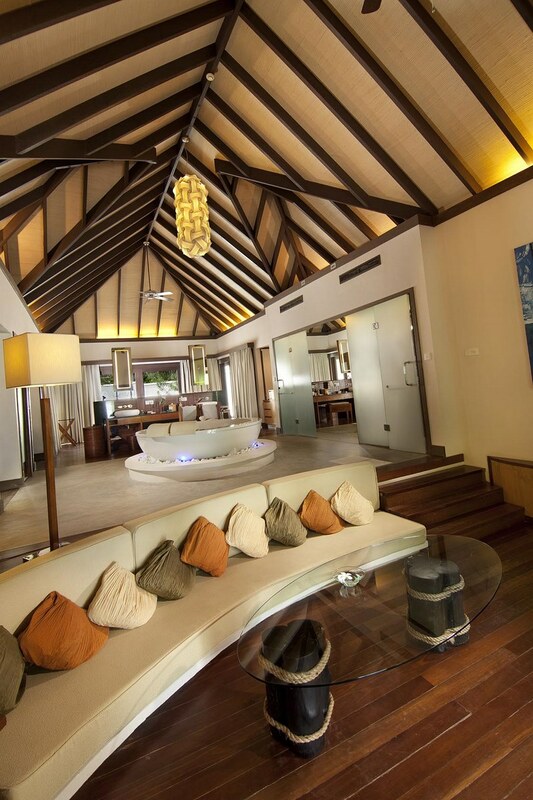 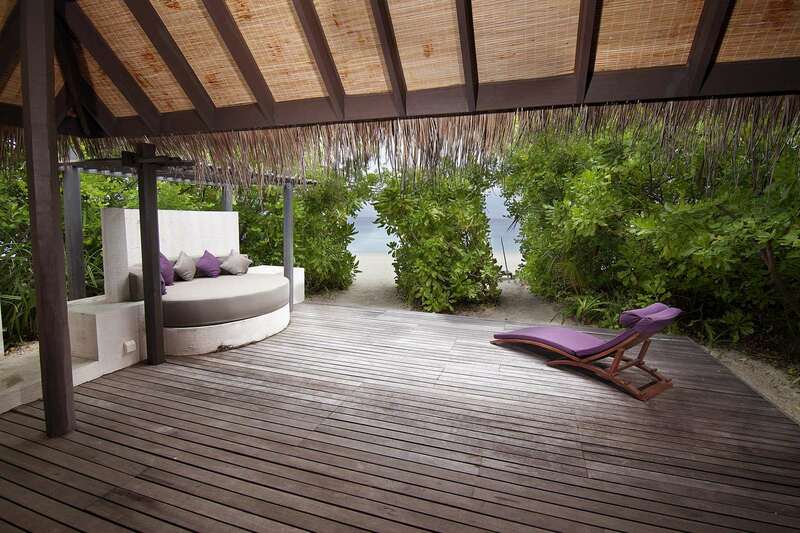 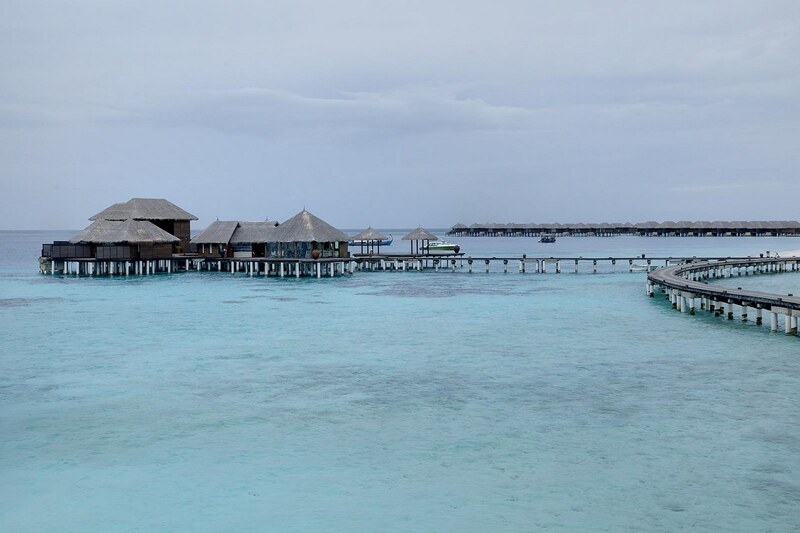 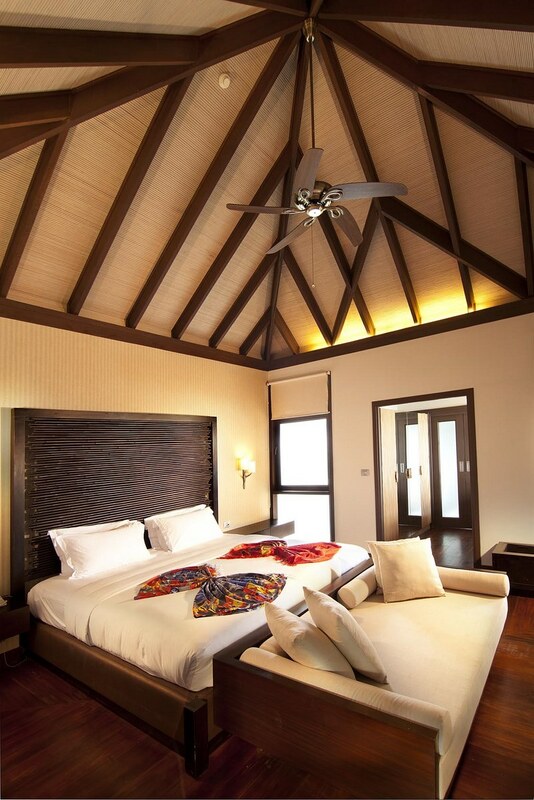 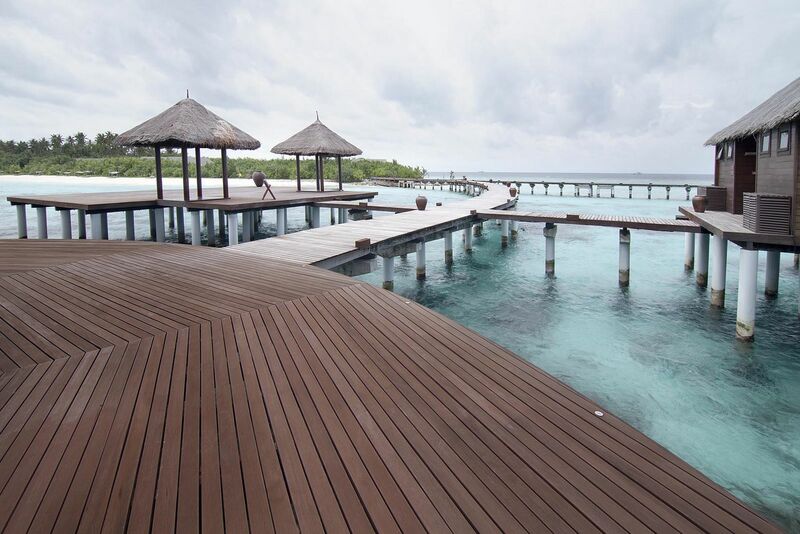 Coco Palm Bodu Hithi is situated on the private island of the same name in North Male’ Atoll in the Maldives. 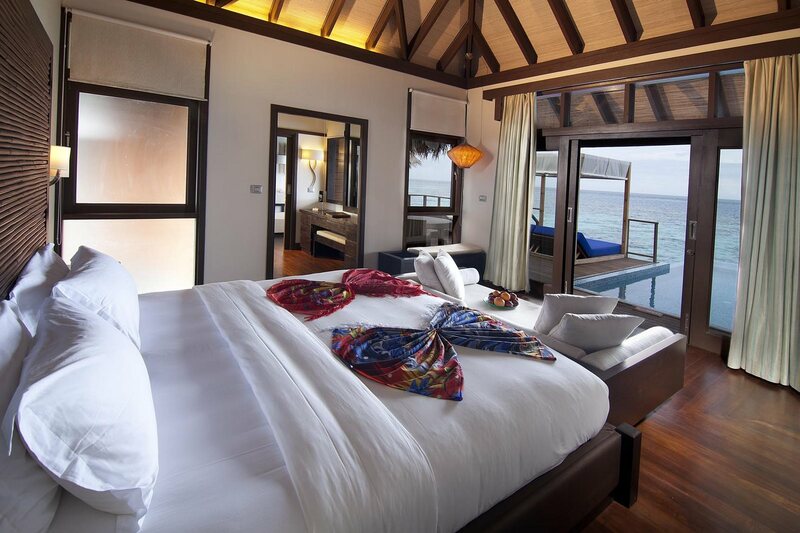 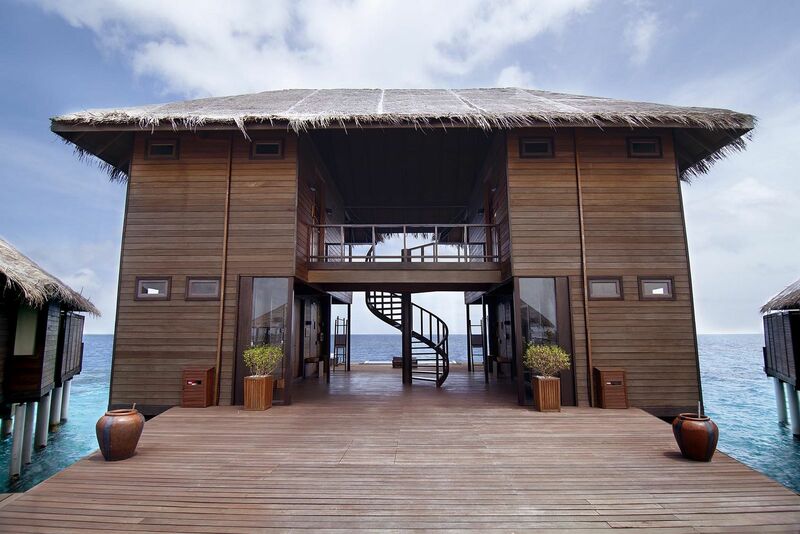 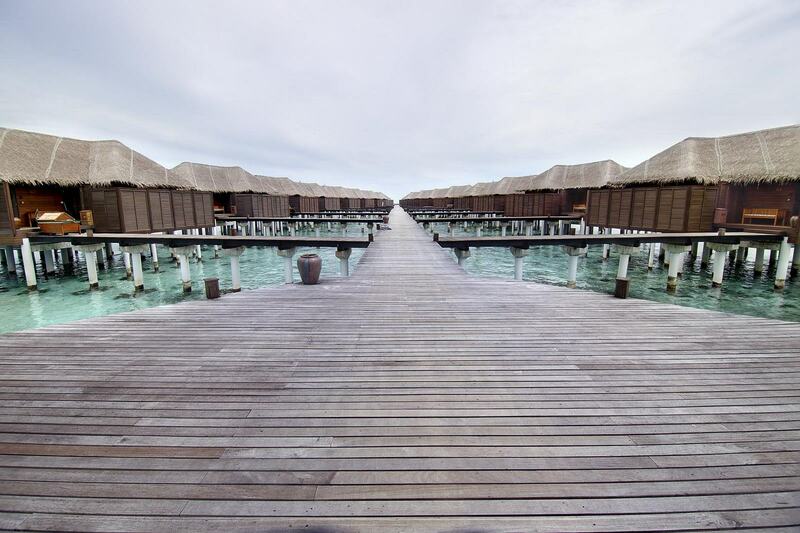 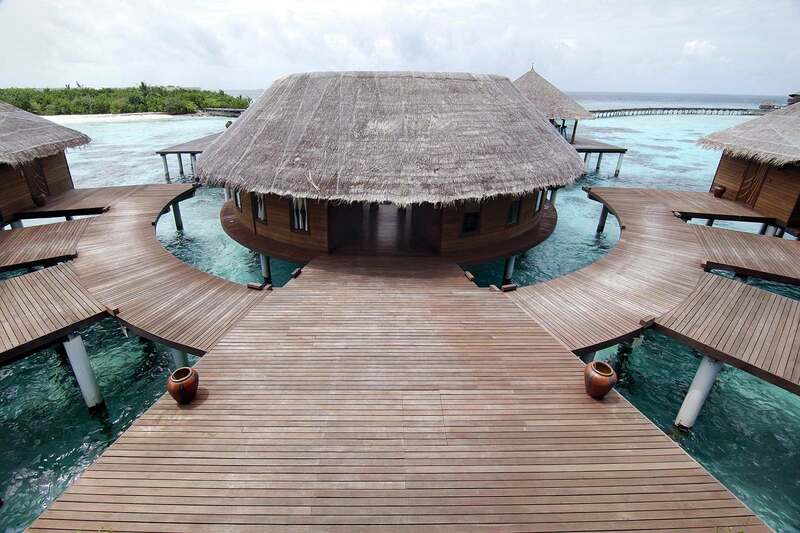 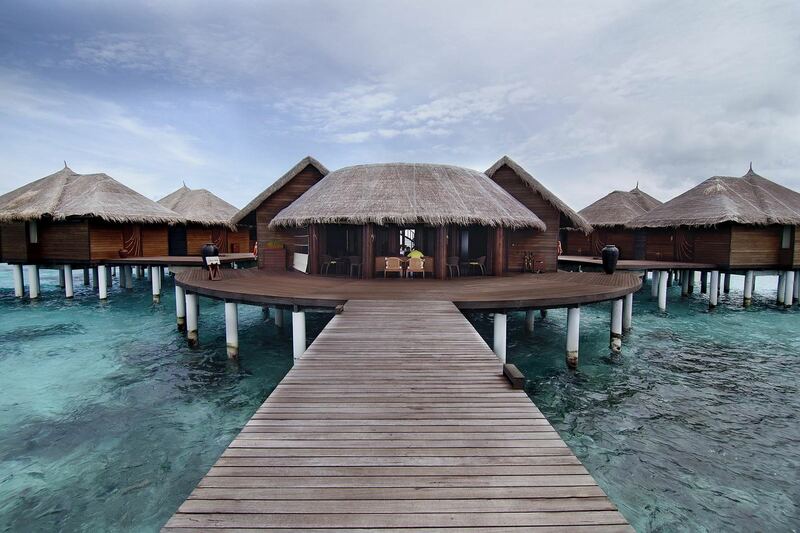 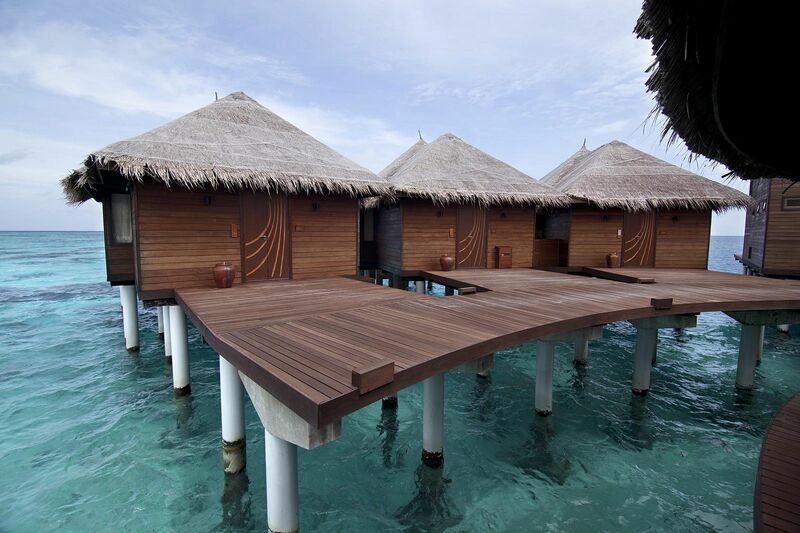 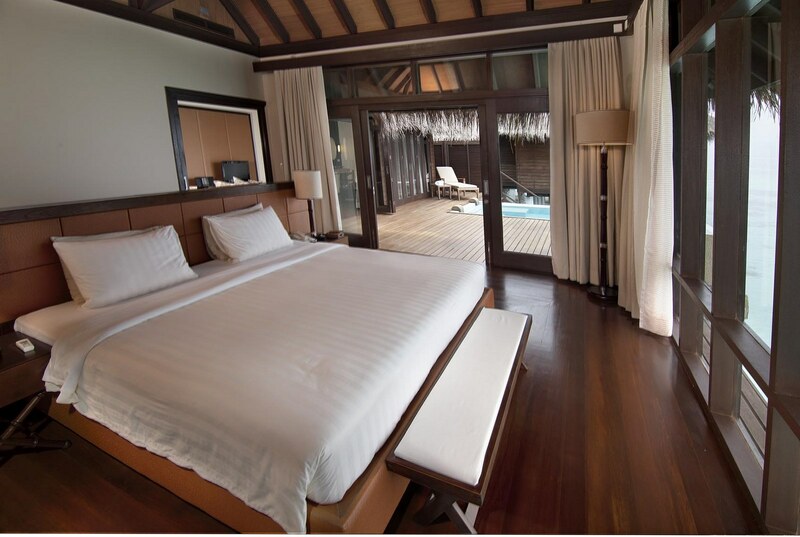 The resort has 100 designer villas, some built on the Bodu Hithi island itself while the rest were built on stilts, with the furthest villa located 200 metres out to sea. 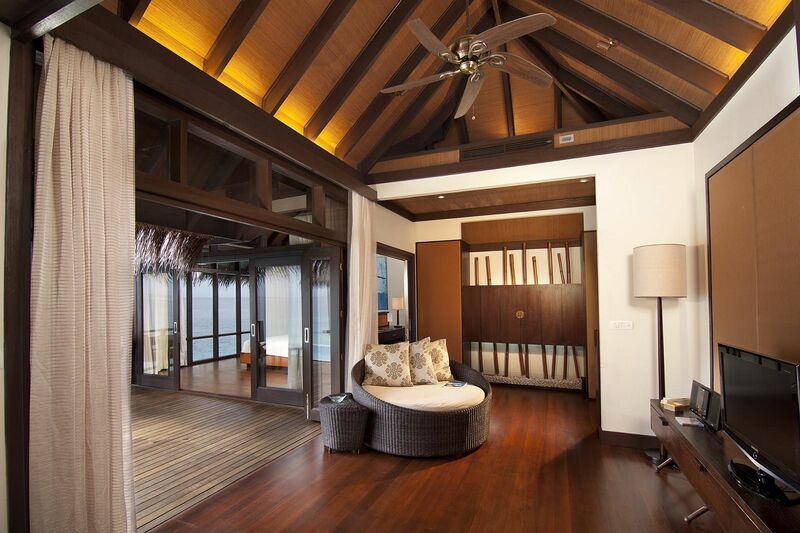 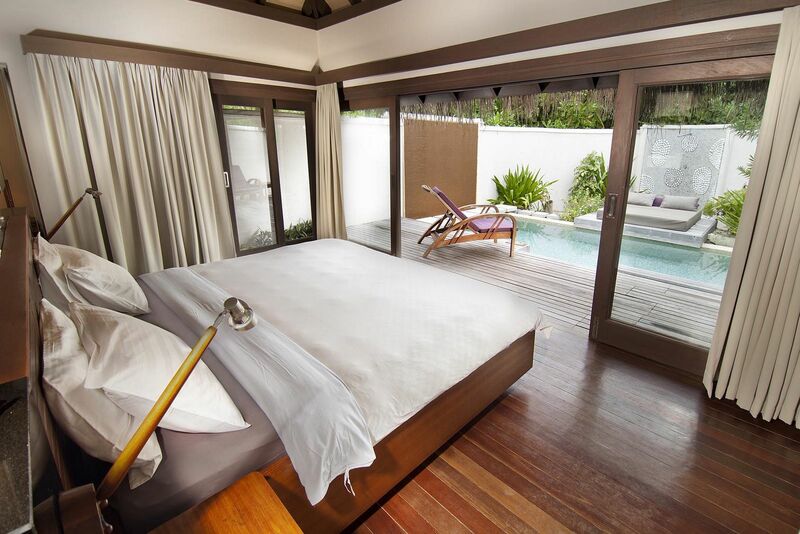 The villas feature contemporary designs with touches of island-style, exemplified by the thatched roofs. 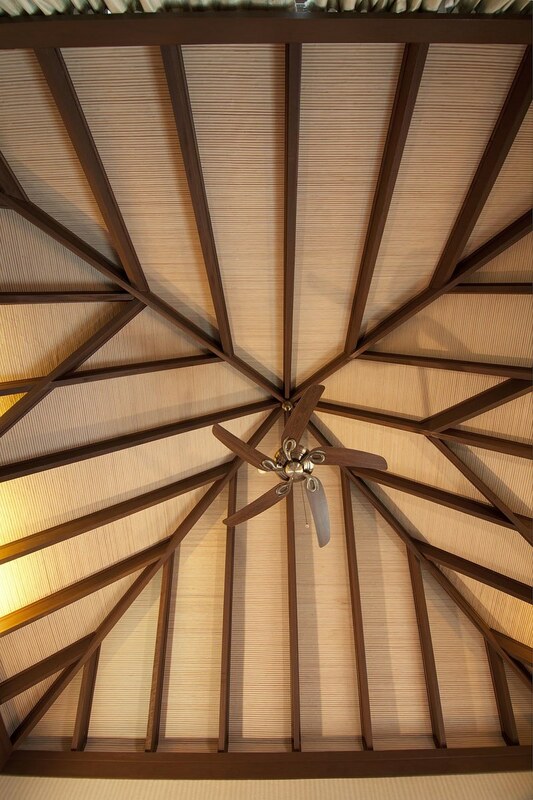 Featured on this page is the reception area which sports a post-and-beam roofing system made of Merbau with Kempas trusses. 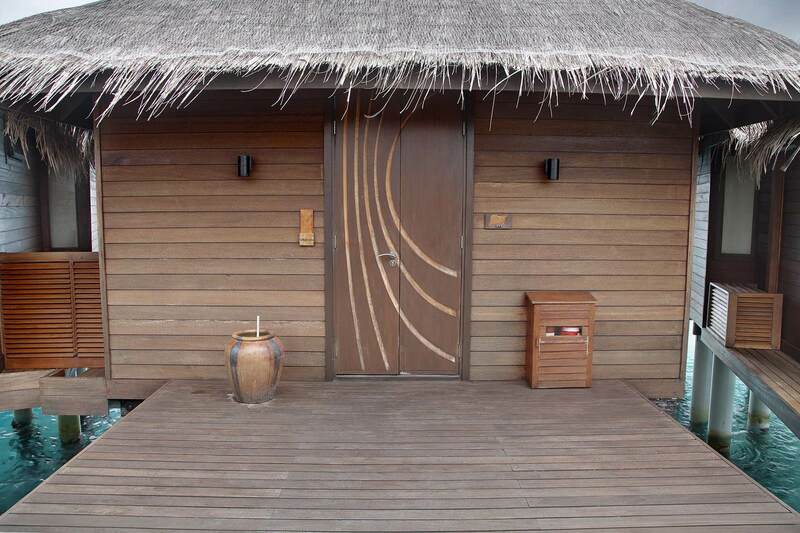 Other public areas feature a combination of Balau and Kempas for the roof structure. 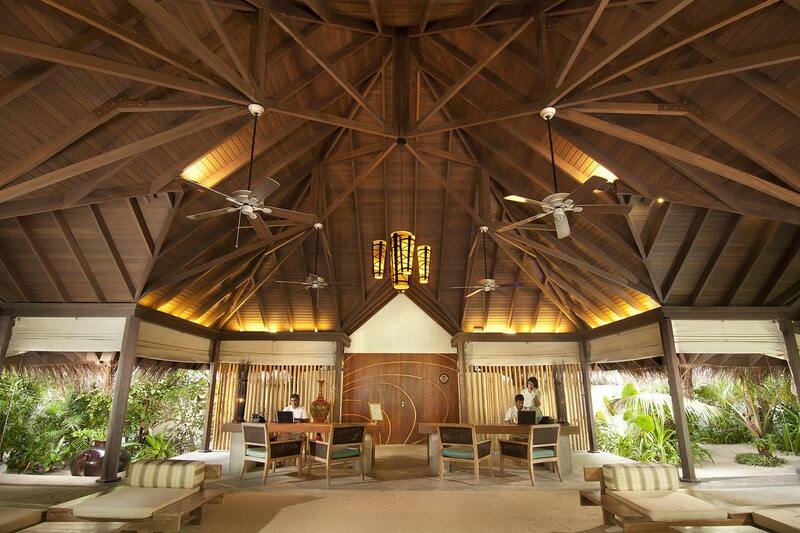 The ceiling of the reception area features a dramatic display of a web of trusses that support each other culminating into an apex and capped by a thatched roof. 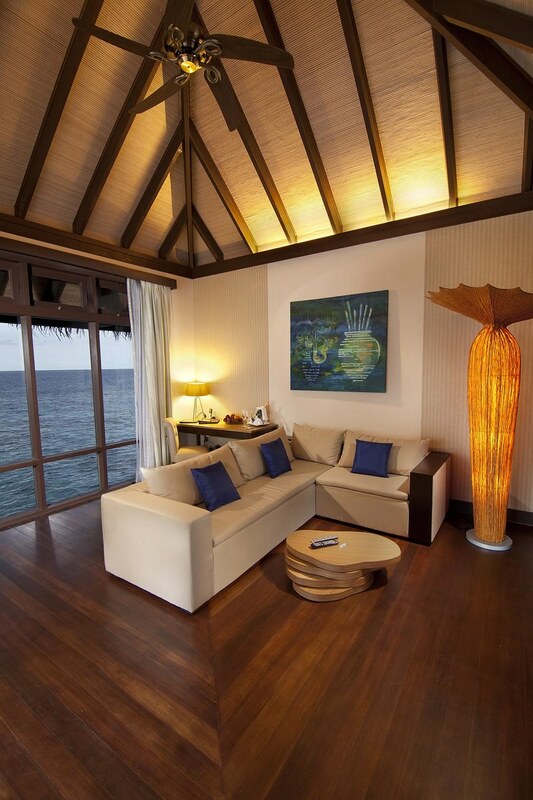 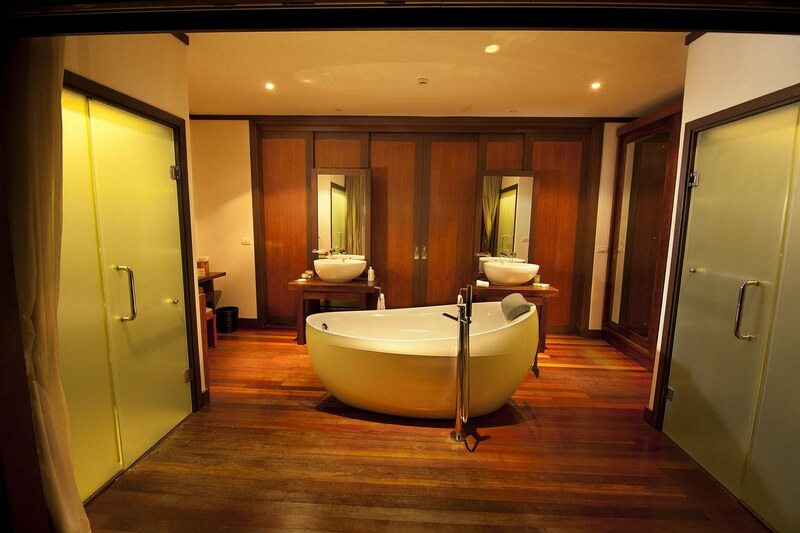 Concealed mood lighting lends a warm, soothing effect to the ambience. 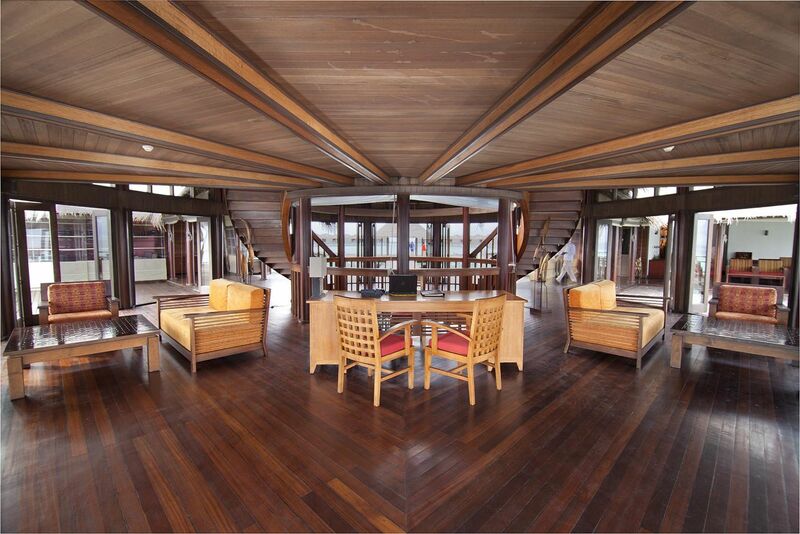 The central timber feature wall, flanked on both sides by a screen of bamboo poles, has a distinctive modern design that adds a contemporary touch to the reception. 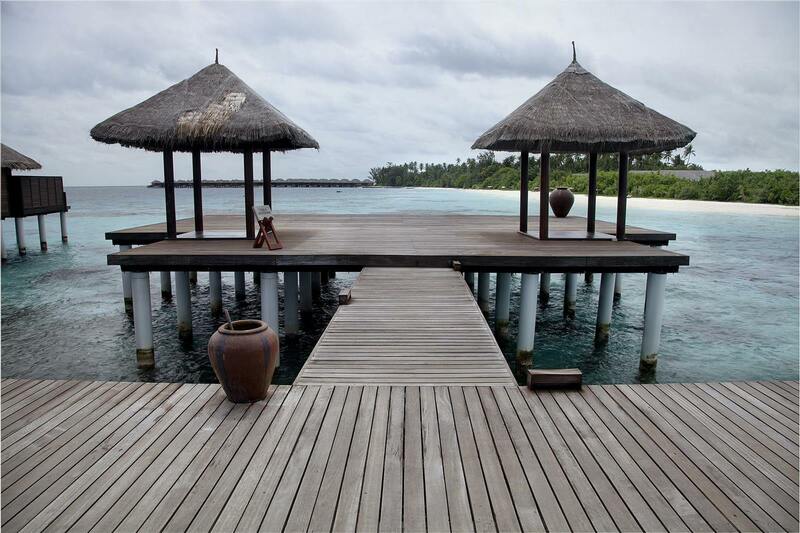 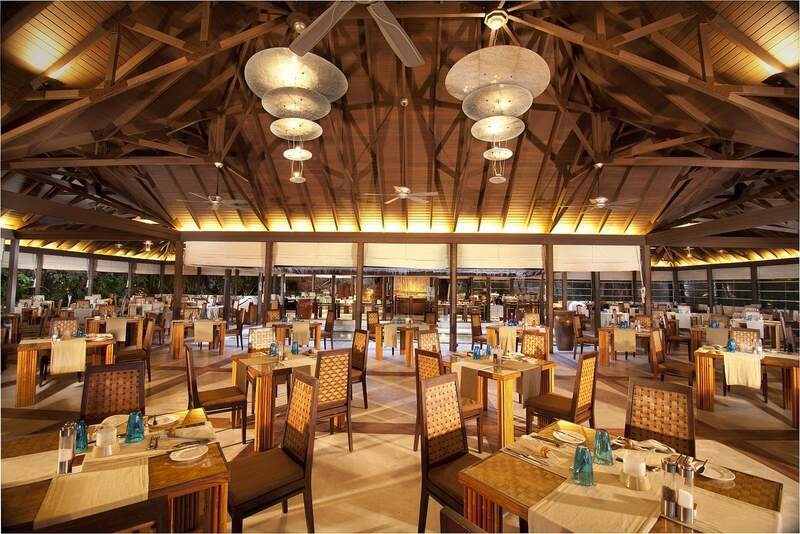 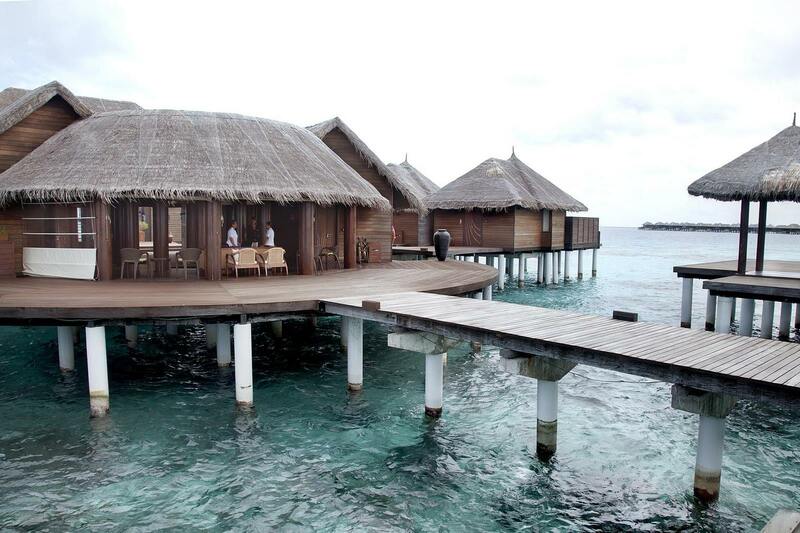 On the ensuing pages are the Stars Restaurant (left) and the resort’s spa pavilion called Coco Spa. 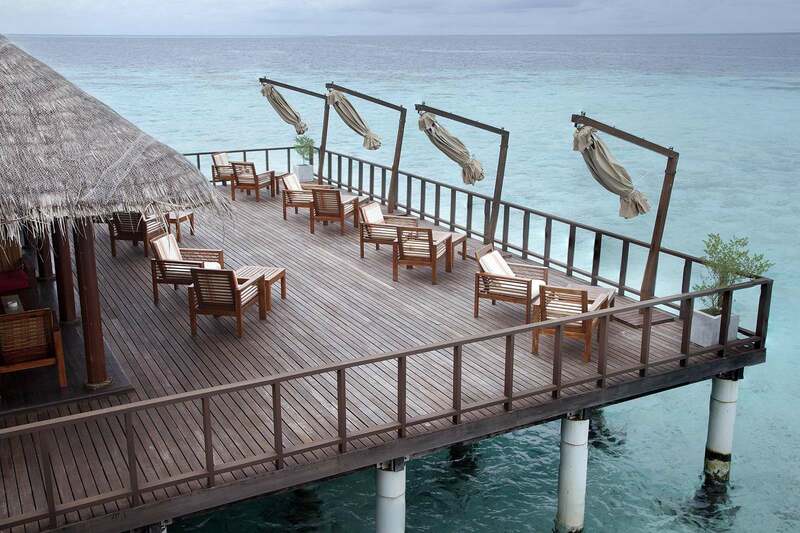 The restaurant, decked in Balau strips, features a simple deck furnished with all-weather outdoor furniture. 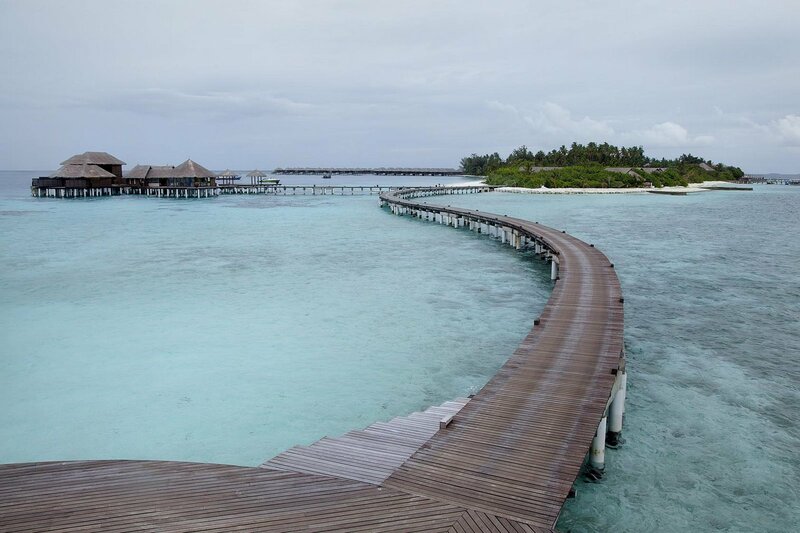 Its minimalist and fuss-free design invites guests to enjoy the beautiful surrounding sea whose waters can range from the deepest blue to the greenest turquoise. 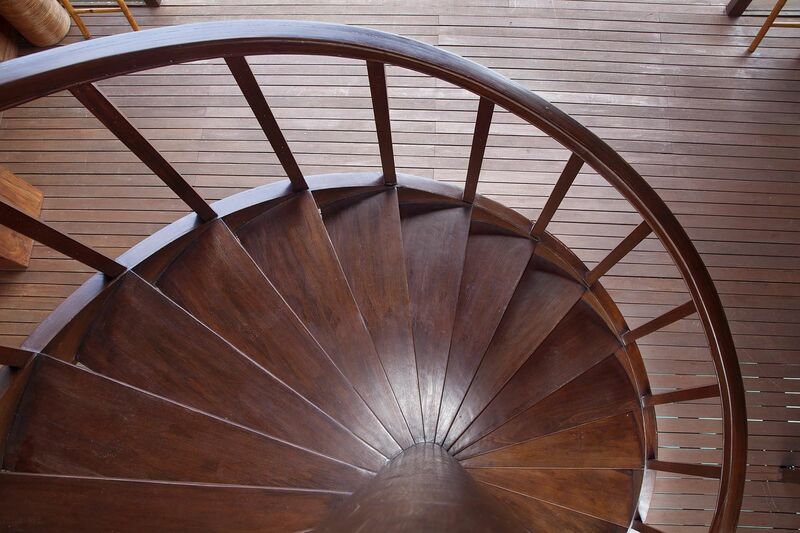 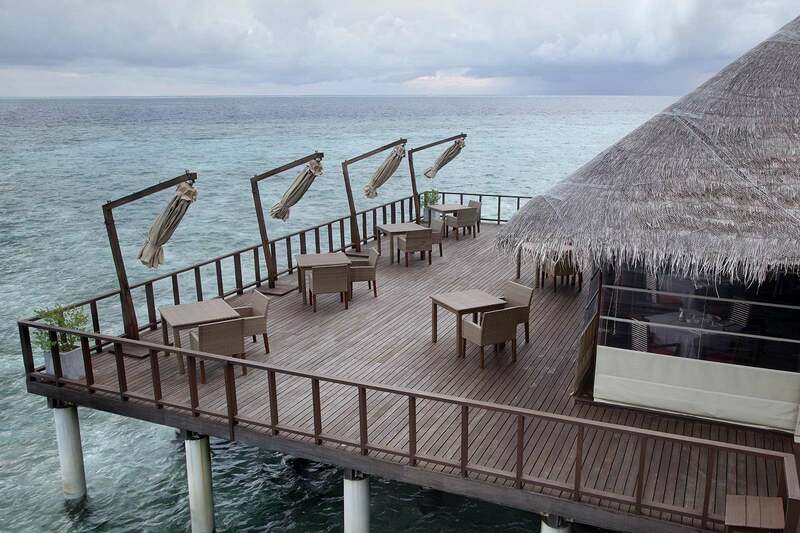 The Stars Restaurant, situated some 100 metres out to sea, is accessible via a Balau boardwalk. 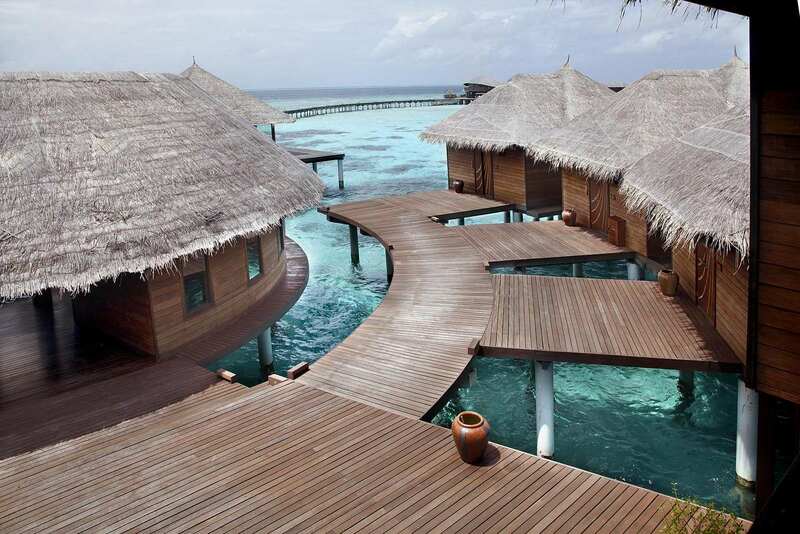 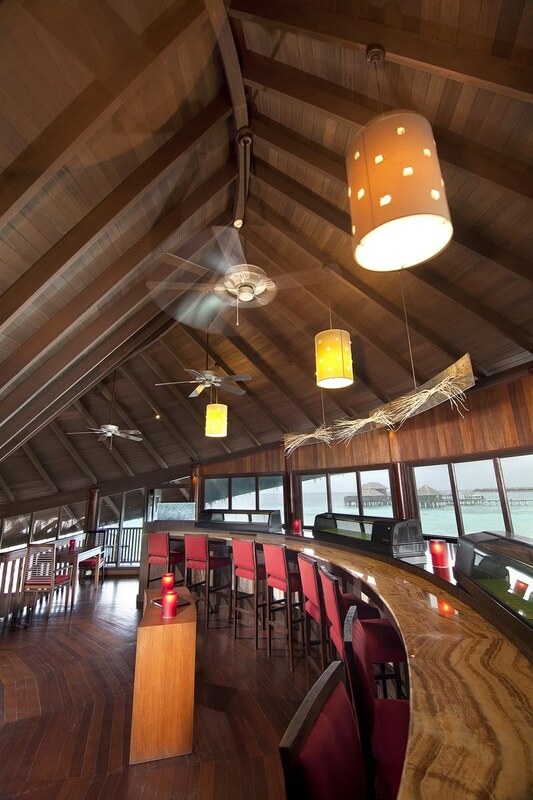 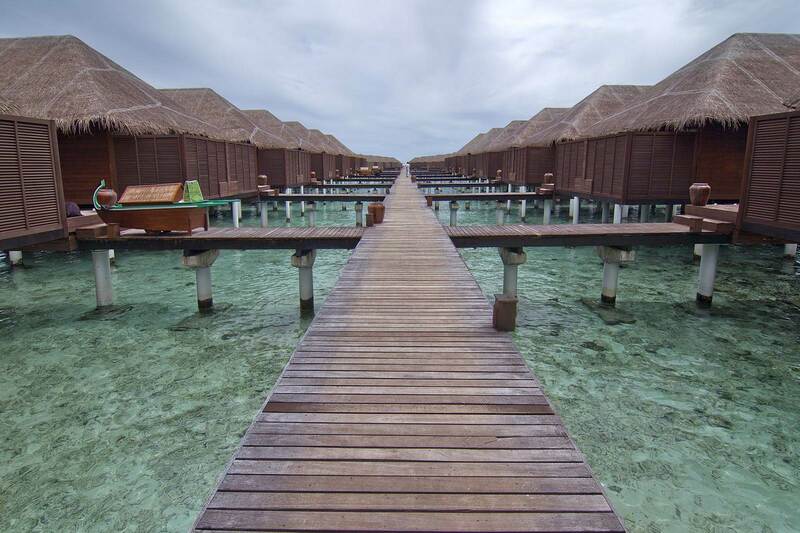 It is within the cluster of eateries sited there specially for guests staying at the resort’s Escape Water Residences, all of which are built on stilts in the sea. 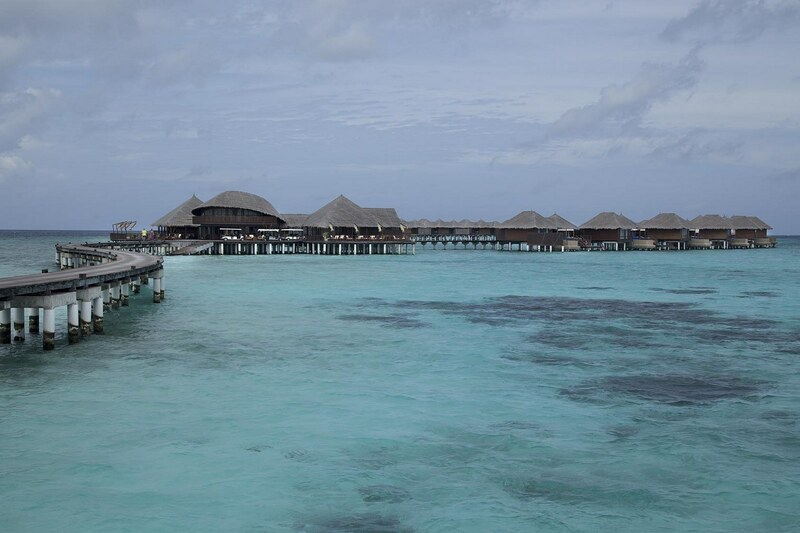 The Coco Spa sits over crystal clear blue waters of the Indian Ocean, a naturally therapeutic setting for guests seeking spa treatment at the resort. 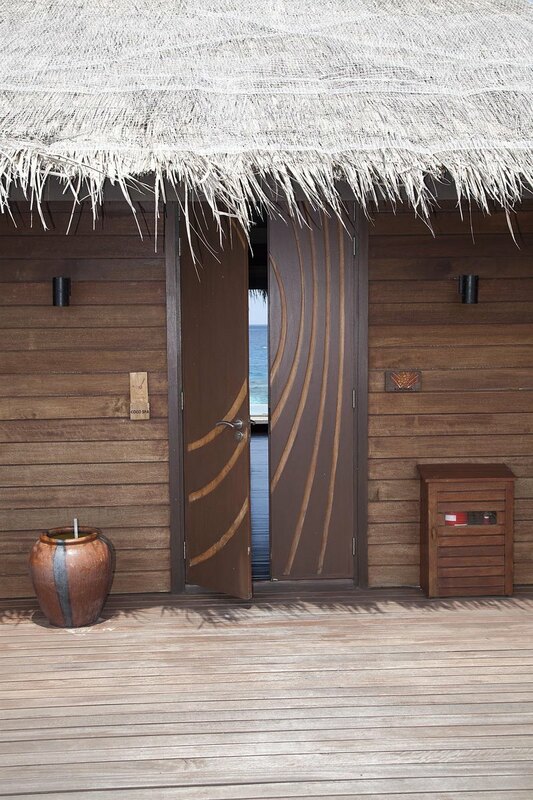 Balau is again used for the decking surrounding the spa area, where each private treatment room comes with its own pool, bath and relaxation deck. 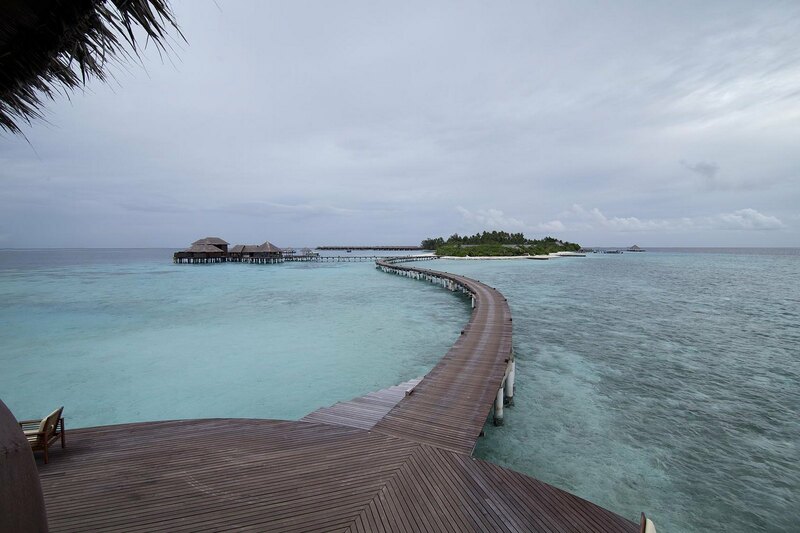 The resort management is committed to maintaining Coco Palm Bodu Hithi as a natural exotic island paradise, with emphasis on conserving the environment.